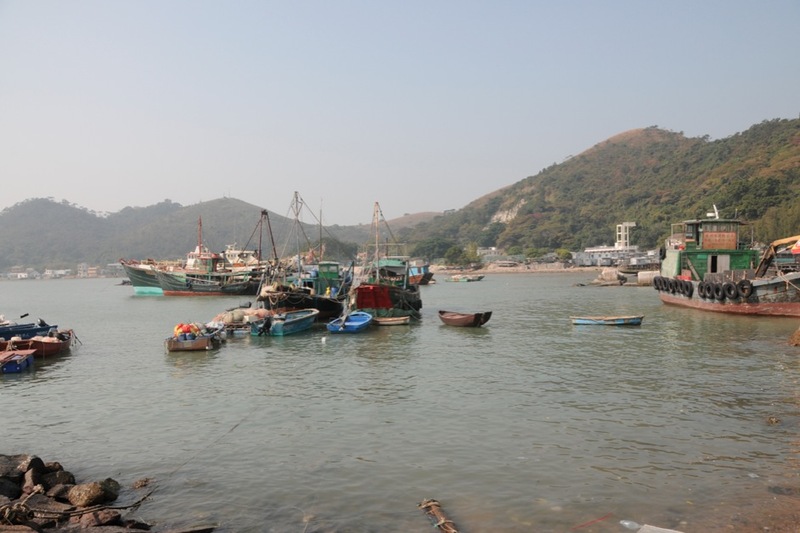 I finally visited Tai O, a famous fisherfolk village on the northwestern coast edge of Lantau Island. 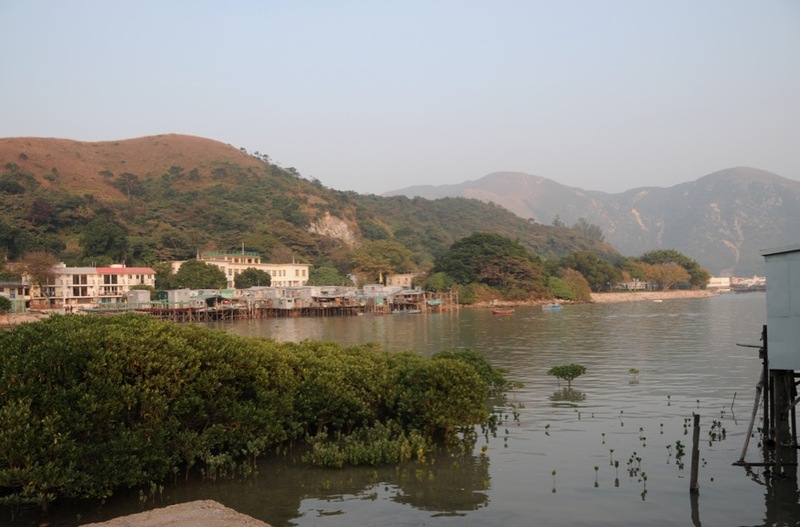 That’s the same island that I live on, but to get there I had first to get to Tung Chung and then take the bus number 11 for 45 minutes up and down a hilly road to get to Tai O, one of the remotest corners in Hong Kong. 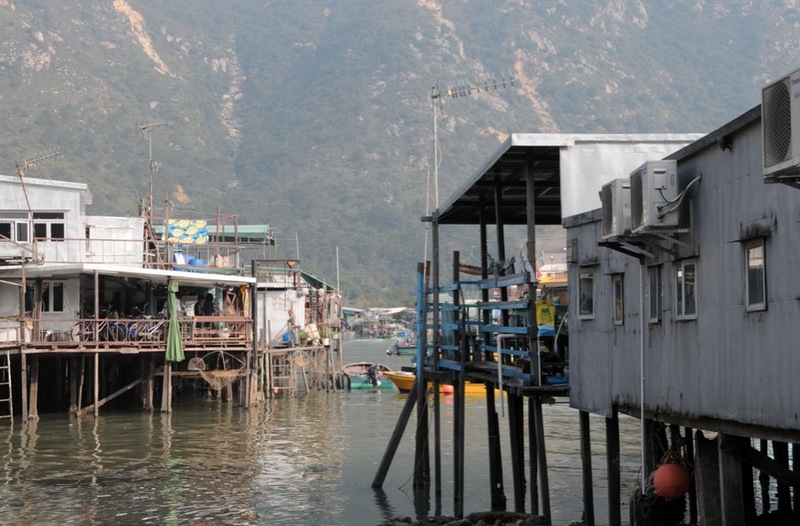 Life is different in the quaint fishing village of Tai O. The village may technically be part of fast-paced, skyscraper-laden Hong Kong, but it’s genuinely another world. 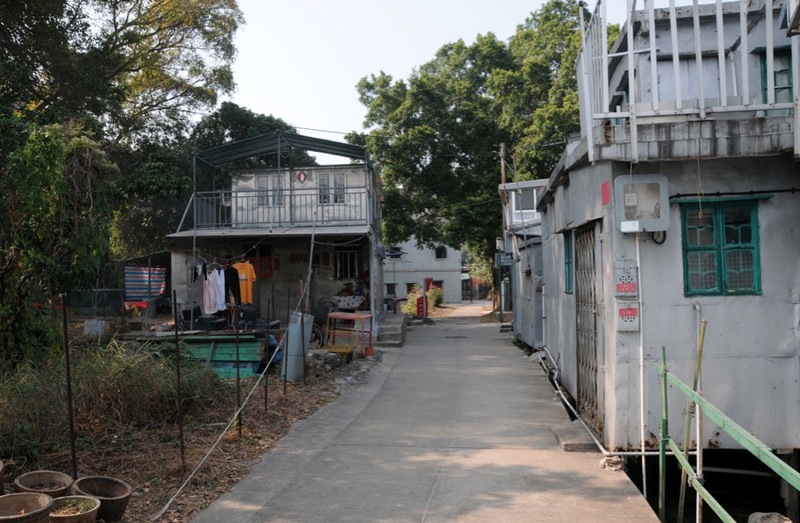 The heart of Tai O is concentrated along the banks of a river, connected by only a narrow footbridge. Most homes are built on stilts along the scenic waterfront, giving the village the nickname “Venice of the East”. You won’t find Italian art works or gondolas here, but you will find a place where time seems to have stood still. 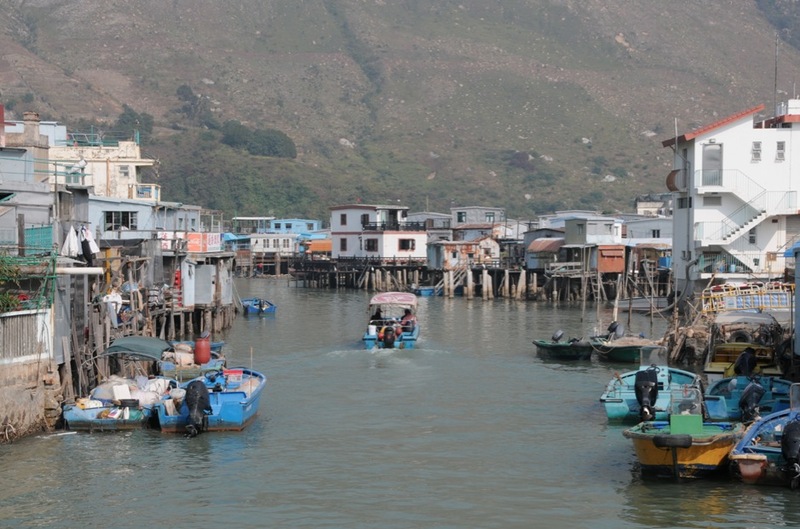 These days, Tai O may seem off the beaten path, but in the past it was one of the biggest ports in South East Asia. People’s lives and the town’s trade revolved around the sea, salt and fish. The community flourished, growing to approximately 50,000 residents. However, times changed. Due to overfishing and the closing of the salt quarry, many residents were forced to leave the fishing village to find work elsewhere. Today the population is estimated to be just 3,000. 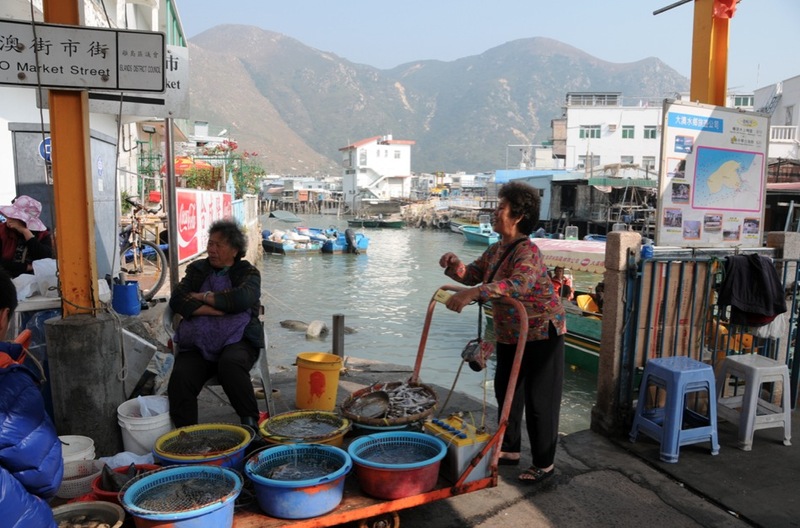 Nevertheless, Tai O remains a paradise for visitors because of its unique culture, heritage and scenery. 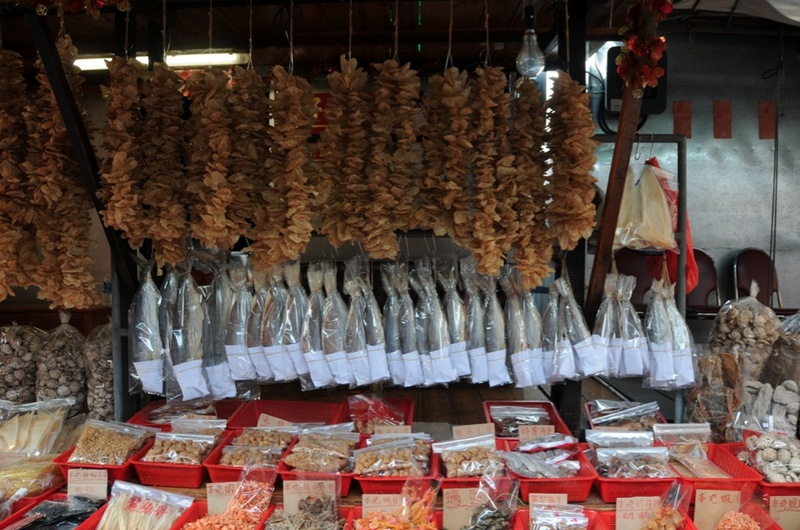 We started walking through the narrow streets with the market stalls selling dried fish in many different forms. 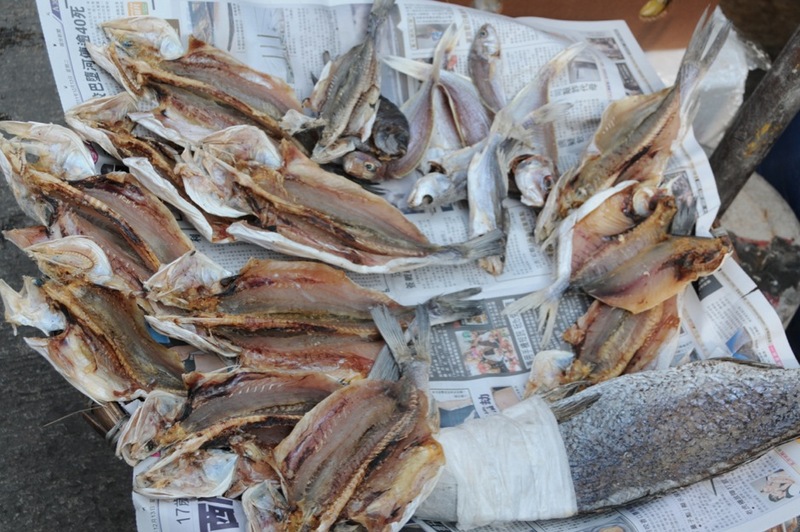 How to make dried fish? Apparently it is easy but it takes time (not that I have tried, but I’ve been told). Remove the internal organs then wash the fish body and put salt all over the body. Afterwards, place the fish layer-by-layer inside a big wooden box filled with salt. Remove the scales, wash the fish, wrap the head in paper and then dry the fish in the sun for five to six days. 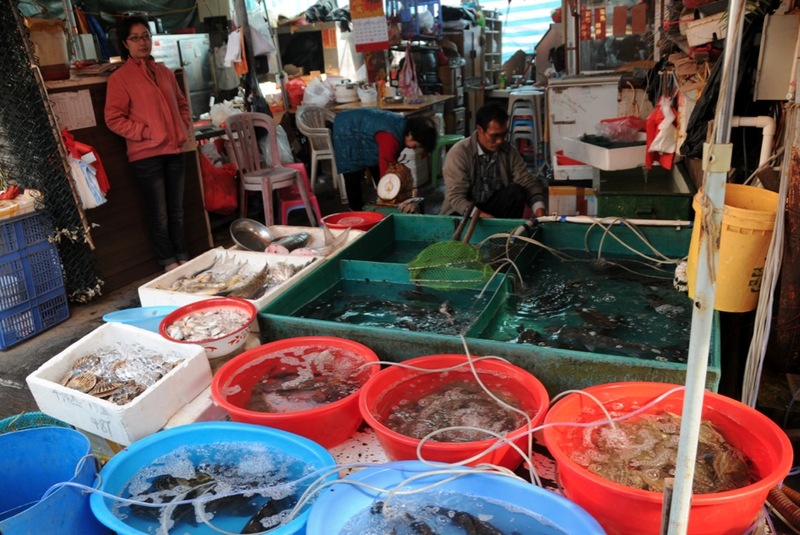 Of course, you don’t have to buy dried fish, you can get fresh fish at almost every corner in Tai O. There were some elderly ladies with their catch of the day in buckets – the fish were kept alive by water pumped into the buckets through an old car battery! We crossed from one side of Tai O to the other on a new manually-operated drawbridge spans the narrow creek that divides the town. It replaces an old-fashioned rope-drawn “ferry” that operated for over 85 years. 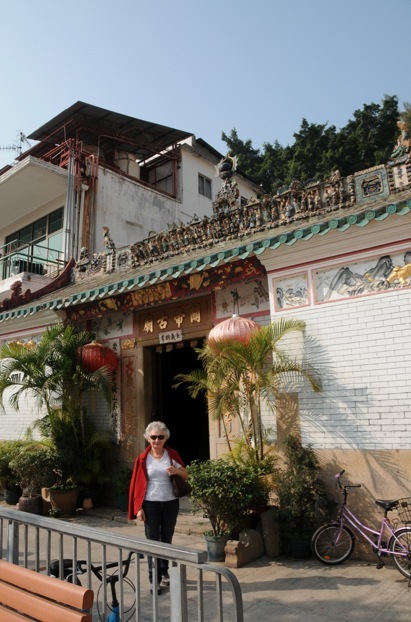 There are a few things to visit: Kwan Tai Temple. This temple honours Kwan Tai, the God of War and Righteousness and was built in the reign of Hong Zhi (1488 – 1505 A.D.) during the Ming dynasty. In real life, Kwan Tai was a general renowned for his loyalty and is said to protect devotees from evil. We walked parallel to the creek, passing the small houses. For some reason the houses were built of iron sheets – maybe that’s to withstand the weather and rust? I don’t know, but the houses look very small and very simple, it must be difficult to live there. We continued to the mouth of the creek, where there is a fine old temple, and took a short path to a vantage point looking across the Pearl River, and the flight path of planes bound to/from the Hong Kong International Airport. It was hazy on that day, so not much of a picture opportunity and we walked back past the stilt houses. Quite surprisingly, there were a few cats and dogs living in Tai O – and they did not seem fussed by the visitors or me taking pictures of them. 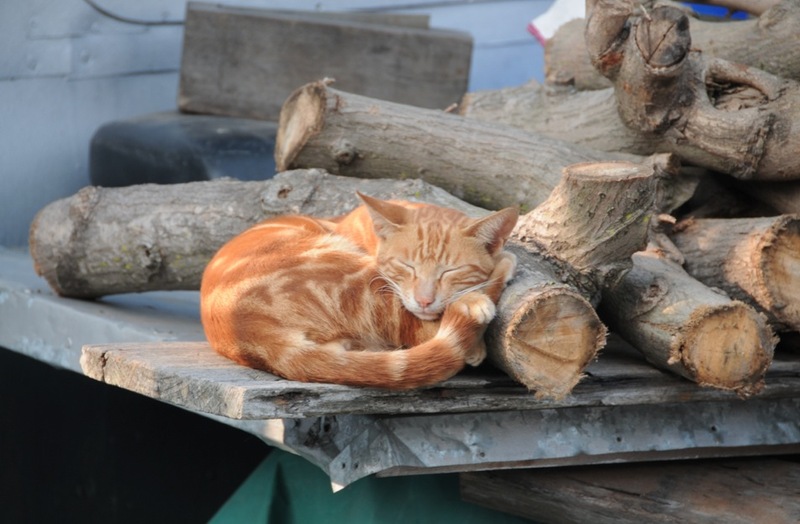 This ginger cat just slept and slept. We walked through the village to the south side, and again there where stilt houses and mangroves in the water – a picturesque little sleepy village (except for the tourists from Hong Kong). 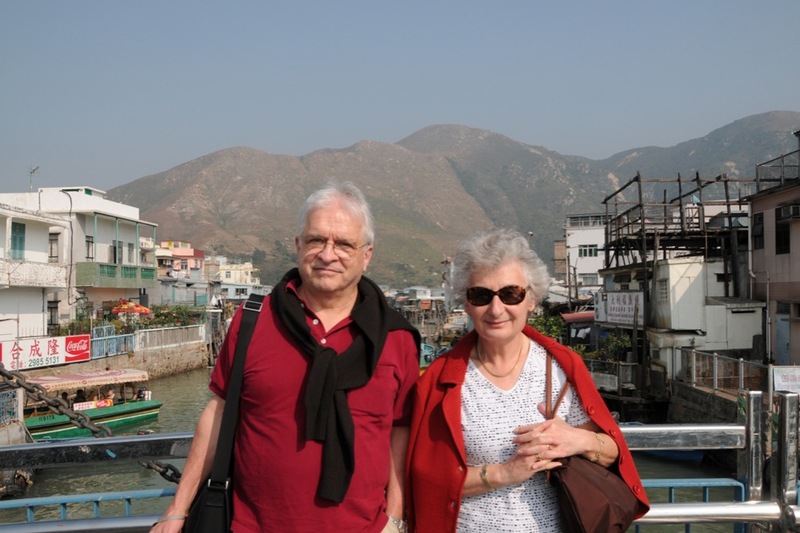 I love Tai O – me and my wife spent two nights of our honeymoon there in probably the only B&B in the town. It’s deserted in the evening when all the daytrippers have gone. You mentioned the tin houses – I think there was a major fire in Tai O, so that may explain them. Yes you might be right, I’ve read about a fire a while ago! Tai O now has its first hotel, in the former police station overlooking the harbour: http://www.timeout.com.hk/big-smog/features/48888/heritage-on-the-hill.html Maybe for your next visit?